Fixed fee per legal matter: It has become common for attorneys to charge a flat rate for specific types of legal matters. Usually fixed fees are for relatively simple, straightforward issues. For instance, a flat rate may be available for closing on a new home as either a buyer or seller. However, a fixed fee is usually not appropriate for litigation based off of a previous real estate transaction. As a client, you benefit from knowing you cannot be hit with unexpected charges. Fixed fee per a designated interval: While most flat fee situations are per legal matter, sometimes attorneys and their clients arrange for a fixed fee per time period or phases in a project. This can be more appropriate when the legal matter will require more work or a number of different steps over a longer period of time. This works best for matters that are relatively predictable and can be broken down into specific tasks. It is not appropriate for overly complex transactional matters or litigation that may require extra time and work. The benefit of this structure is that you do not have to pay the entire fee for a project upfront and can break it down into multiple payments, which may be best for your income or cash flow situation. Capped hourly rate: Sometimes an hourly rate just makes sense. However, you may be worried about an attorney or paralegal spending too much time on your matter to inflate the bill. To ensure this cannot happen, you and an attorney can agree on a total number of hours the firm cannot go over. Like fix rate arrangements, this is best for matters that are generally predictable. Otherwise the firm takes on too great of a risk. 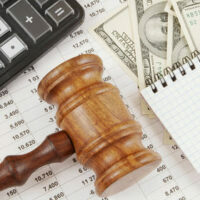 Fee based on performance: Sometimes it is not appropriate for an attorney to charge a client a fee unless there is a positive outcome to the legal matter. This concept leads to fees based on a specific outcome to a case or the value you derive from the firm’s performance. A common type of performance-based fee is a contingency fee, in which you do not pay unless the client recovers you compensation through a settlement or jury award. To learn more about how we can help you and the billing options we offer, call us today at 561-571-8970. We serve clients in West Palm Beach, and we are eager to help you today.